From the dress uniform of the Royal Regiment of Scotland, through the formal wear at weddings to the casual get up of the Tartan Army at Hampden Park; our national dress, the kilt, is instantly recognisable as Scottish and is the envy of the world. In few countries today do people still regularly don their national costume, nor have it emulated across the globe as ours is – so from head to toe here is a look at the history of the various parts that go into making our national dress. Except in evening dress, it is commonplace to wear a hat with the rest of the gear; usually either a Glengarry or a Balmoral Bonnet. Like most of the outfit, the hat is a fairly recent invention; perhaps dating to 1794 when Alexander MacDonell of Glengarry introduced a stylised of bonnet to the soldiers in his Fencibles unit (these were temporary regiments of local volunteers raised to meet a particular situation). However, it is unlikely that this hat was the classic Glengarry which we know today as the foldable, upturned boat-shaped hat with red toorie on top. The first recorded as such was worn by the pipers of the 79th regiment of foot in 1841, and by 1850 it had become standard across nearly all the Highland regiments; albeit with a few variations in colour and style. 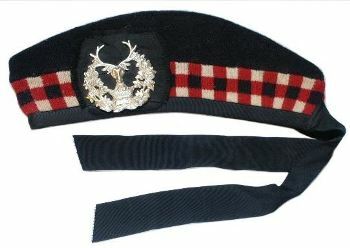 The Black Watch regiment however preferred to wear the Balmoral, a twist on the civilian Tam O’Shanter; which looks more like a flat cap with a slightly raised peak. 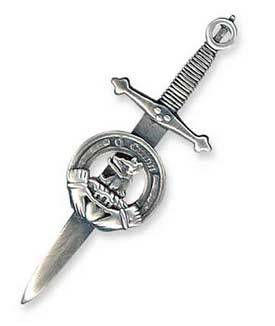 With the amalgamation of the regiments in 2006, all soldiers in Scotland now wear the Glengarry exclusively. It is also appropriate for civilian use, when worn with the rest of the outfit. Adorning the bonnet is usually a black cockade (a simple knot of ribbon) and either the regimental badge (military use) or clan badge. These take the form of a silver ornamental belt with motto, circling the heraldic arms. This is the property of the clan chief and not the clansmen, although they can wear the badge as a mark of allegiance or association. 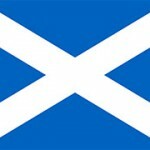 All the badges have to be approved by the Lord Lyon, her Majesty’s chief heraldic officer in Scotland. They’re use stems from the Victorian romantic age, when all things Highland were en-vogue and most of what we see in the dress was essentially ‘invented’. Often too, a plant will be worn in the cap badge. This was meant to allow for better recognition on the battlefield; but again is a rehash of something earlier and dates to the mid 19th century at the earliest. Clan chiefs also have the distinction of wearing three eagle feathers in the cap as a mark of their position (Lesser clan officials may be allowed one or two feathers). Moving down; the top part of the dress is a shirt – which may seem a little mundane as we all wear shirts, but this was historically one of only two garments owned by the Highlander (the other being the kilt, which we’ll get to). Indeed, in battle the great kilt or belted plaid was actually discarded and the men rushed in the Highland charge wearing only the long shirt or léine. Today’s rather twee ‘Jacobite’ shirt with its string neck-ties is a remnant of this earlier garb. Over the shirt is the jacket, which comes in various forms depending on personal taste or the formality of the occasion. Morning and hunting attire historically meant a heavy tweed jacket; although this is not as common as once was. Instead, at non-formal events such as Highland Games or receptions the black Argyll Jacket is preferred. This is a sort of blazer with silver-button accessories; but less formal than the Prince Charles Edward Jacket with its tails (and need for a bowtie). Again, both originate in the fertile imagination of the Victorians – but the Charlie is an overly precocious fabrication while the Argyll remains pretty functional and fits the overall look a bit better. The development of the kilt, the key part to the whole ensemble is in part political, economic and to some degree a product of climate change. There is no evidence that people in the Highlands (and remember this is a Highland dress) wore kilts before 1500 – indeed Roman observers noted that the Celts wore a type of trousers; even in the north. Early grave slabs and standing stone carvings show what looks like medieval warriors wearing kilts – in fact it’s a sort of leather, pleated armour in someway similar to the sort of protection the Japanese Samurai had. The first move towards a woollen, multi-functional kilt came with the socio-economic descent of the Highlands into feuding clans and near constant warfare; a new dark ages beginning with the collapse of the Lordship of the Isles in the 15th century. Throughout the 15th and 16th centuries there was a massive ‘land-grab’ of sorts across the north as traditional holdings, feudal territories and regal estates splintered and fell to opportunistic robber barons and warlords. In order to secure their gains chiefs developed the clan system as a means to bring swords to a battle. Society changed in fundamental ways, but living standards deteriorated, life expectancy dropped and things just got generally harsher. Wool production was on the increase though, and it became not only affordable but the only thing affordable. 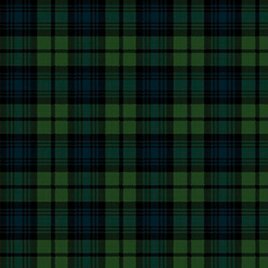 Originally the clansmen wore a sort of cloak (both plain and tartan in weave) of wool known as a plaid; which in turn evolved into the Féileadh Mòr or Great Kilt (Belted Plaid in English). This was a huge piece of tartan cloth that had multiple applications, and was pleated along the waist and folded, wrapped or draped across the body. It was a functional garment, useful in marching across the hills, sleeping in, hunting with and warm against the weather. The deterioration of the climate during the 16th century also played a part – it got colder and wetter, and the kilt is simply better for running or hiking through the sodden heather clad hills than trousers. 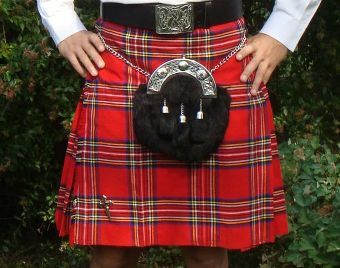 The Féileadh Beag, or small kilt is essentially the bottom half of the great kilt; and is the forerunner of the modern version. It was ‘invented’ (or more likely re-hashed) around 1720 by an Englishman called Thomas Rawlinson who ran a smelter in Fort William and found that the bigger plaid cumbersome for the men cutting the much needed trees, and so he adapted the garment. 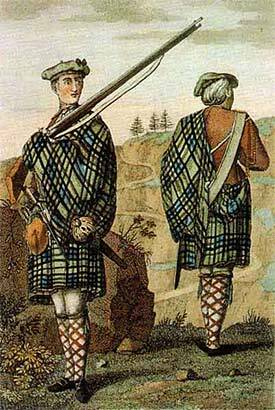 It proved popular and by the Battle of Culloden in 1746 many of the Highlanders would have been wearing the smaller, modern kilt rather than the older version. Following the bloody battle on Culloden Moor the British Government instigated a number of draconian measures aimed at destroying the clan system, which to all intents and purposes worked. Among the legislation was the Dress Act 1746 which forbid the wearing of tartan – a law that would remain in effect for nearly 40 years. It saw the end of the common wearing of kilts until the late 20th century; but it survived on in the army – which of course was loyal to the crown and thus exempt from the law. Highland regiments would continue through the prohibition wearing the small kilt, and following the repeal this form of the dress would provide the blueprint for the style and customs going forward into the romantic and somewhat illusionary period of the Georgian and Victorian Age; and thus the dress as we know it today. everyone in a particular area probably wore the same design, and as they also belonged to the same clan it became synonymous. However, modern tartans again go back to the adoption of the small kilt by the army; and most were created by the company Wilson’s of Bannockburn. In time, especially following the visit to Edinburgh in 1822 of George IV choreographed by the arch romantic Sir Walter Scott, the chiefs also wanted tartans made for them and between them Scott and Wilsons essentially designed the bulk of all principal weaves. The kilt is usually held in place with a thick leather belt adorned by an elaborate buckle, often displaying the clan badge (or a Scottish icon like the lion rampant). Also around the waist is that most intriguing of ornaments to non-kilt wearers, the Sporran. A remnant of the old medieval belt-pouch, the sporran (from the Gaelic meaning purse) is a wallet of sorts that is used to hold personal items as the kilt itself obviously has no pockets. 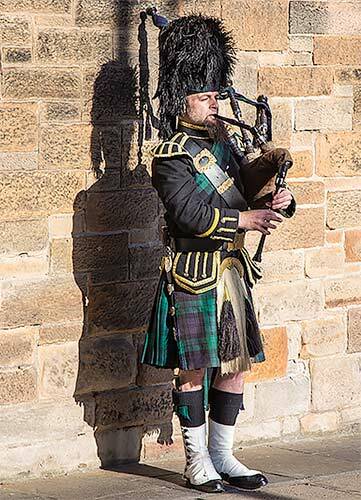 They come is all shapes and sizes, although the smaller, less ornate day sporran with three furry tassels is the norm; pipers, drummers and the more gregarious amongst kilt wearers often don something a bit more ostentatious; but the original purpose remains the same. but the socks hearken back to an earlier time when men wore tights rather than long trousers. At the very bottom are the Gillie Brogues, or shoes. They originate from rudimentary leather shoes worn in Ireland and Scotland with holes to help let water leak as their owner stomped across the bogland. Workers on estates were, and are known as gillies (meaning servant or boy), and they often wore the old Oxford Brogue and it eventually morphed into the kilt shoe of choice: a black, heeled, tongue-less, hole-peppered shoe with long laces that tie several times around the ankle – and surprisingly comfortable when marching. Well, that’s about it – except for one optional extra, the Sgain Dubh: which literally means ‘black knife’, but, has an alternative meaning suggestive of covert or hidden (same as Black Market). Weapons were often concealed under the armpit or within the folds of the kilt; but on entering a friend’s house it was taken out and placed in the sock so as to be seen, and thus non-threatening. And there it remains to this day. A mixture of fact and anti Scottish fiction. Most of the erroneous slanders about the kilt being Victorian invention is inaccurate and misrepresentative as is the claim about an English factory owner inventing the half plaid which was more likely to be proliferated by the fore runners of the Black Watch in the period between 1689 and 1725.